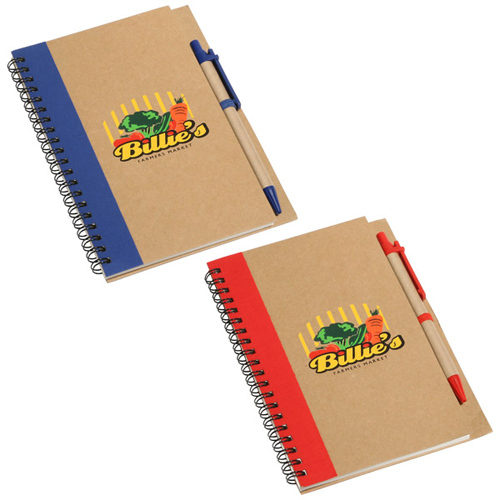 Promo Write Recycled Notebook - Advertise your business while promoting environment awareness. 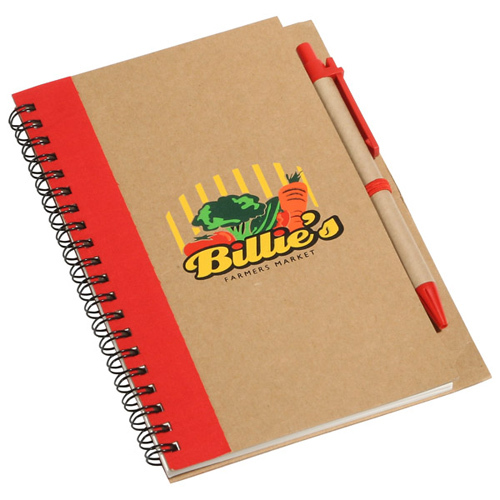 Notebook is made form partially recycled materials. 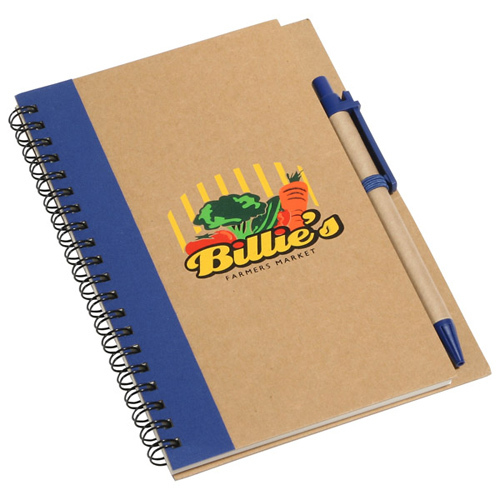 Features ballpoint pen with recycled barrel, elastic pen loop, quality spiral binding and 70 unlined pages. Bulk / 26 lbs / 85 pcs. / 14" x 14" x 9"box. 7 Business Days *Production time begins after artwork approval and does not include shipping time. Imprint Area: 2-3/4" x 6"
Imprint Area: 3-1/4" x 6"